Canon has enjoyed so much success with the groundbreaking five-ink system in printers such as the iP3600. Introduced a few years ago, it no longer makes any conventional 6-ink photo printers, featuring additional light cyan and light magenta inks. The so-called ContrastPLUS ink line-up includes both pigment-based and dye-based black inks, along with dye-based cyan, magenta and yellow. This results in excellent quality and speedy efficiency for both regular document printing and for high-quality photo printing, removing the need to run two printers. 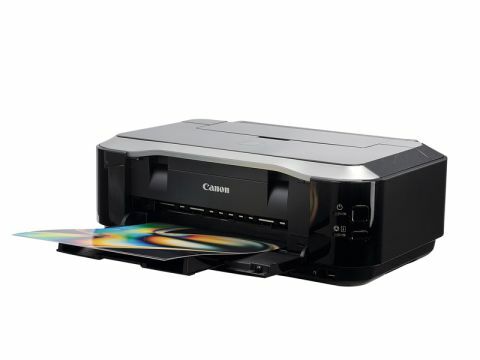 The iP3600 is Canon's latest entry-level, bare-bones 5-ink printer with no LCD or memory card slots but it uses the new generation of ChromaLife 100+ cartridges and paper. As well as increased fade-resistance, the new system aims to deliver increased vibrancy, greater colour range and deeper blacks. The downside is that Canon has reduced the capacity of its ink cartridges without any drop in prices, effectively raising ink costs by about 75 per cent compared with previous generations. Overall running costs are now roughly on a par with most other manufacturers, rather than offering a bargain. The iP3600 is no slouch although its print speed lags behind the more expensive iP4600.